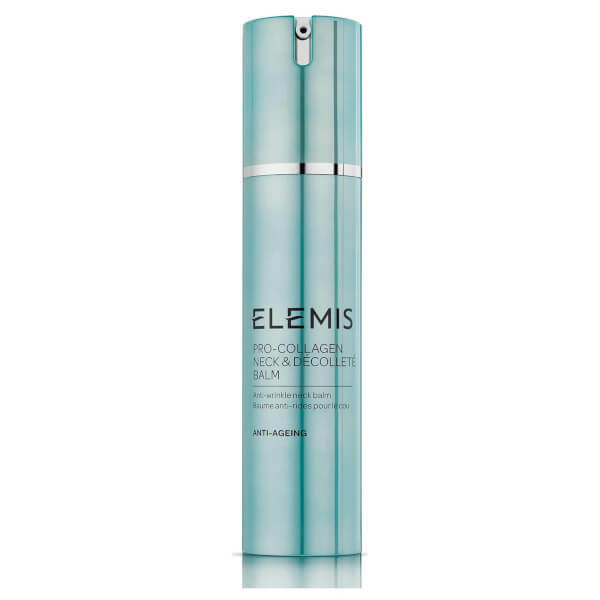 Minimise the signs of ageing with Pro-Collagen Neck & Décolleté Balm from Elemis. The anti-ageing balm helps to increase the skin’s firmness and reduce the appearance of crepe-textured skin, leaving the neck and bust area smooth and more youthful-looking. The neck and décolleté balm is formulated with active ingredients, vitamins, minerals and antioxidants, which provide firmness and elasticity and moisturise. Liftessence, a natural skin tightening material, forms an elastic, resistant and continuous lifting 3D network to help tighten the skin. – E.W. I had been using this product for a couple of weeks when my Son commented on my skin looking firmer & smoother - I said I'd started using this new product & he said "well - it must be working" He'd noticed that I looked a lot firmer under the chin. I just put a layer all over the neck & décolleté & leave it to dry. It feels quite good doing that. It is quite an expensive product so best to wait for some sort of offer which I managed to get on mankind.